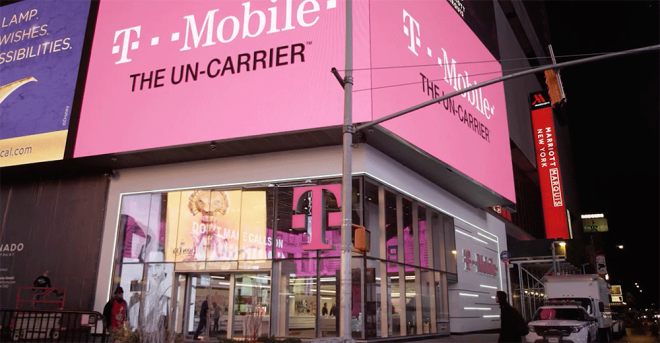 Ahead of today’s Un-carrier Next announcement, T-Mobile today shared a preview of its Q4 2016 results. T-Mobile says that in Q4 2016, it added 2.1 million customers, including 1.2 million postpaid net adds. Of that 1.2 million, 933,000 were phones. This marks the 15th straight quarter that T-Mo has added more than 1 million customers. For the full year of 2016, T-Mobile added 8.2 million total customers. That includes 4.1 million postpaid customers and 2.5 million prepaid customers. T-Mobile finished 2016 with 71.5 million customers. That’s up from 63.3 million customers one year ago. T-Mobile’s full Q4 2016 results will be revealed in early February. Outside of those of us who pay attention, very few knew about it…And did you get your bill? I did. More wasted time on the phone with 611. +1, I knew it would take a couple of bill cycles. Added a sixth line under that $5/line promo at xmas myself. My son is getting his first phone next August. Saving 75% on that line was worth it to get the line early. Now have six lines on the 10GB plan for $145 a month total plus tax, with unlimited everything until 2/2019. Love T-Mo. And they need Sprint why? It’ll bring immediate scale, and going by what John said I think he intends Tmobile to be the brand going forward if S buys T. It would allow competition on a different scale, combined they could do some serious damage to both Verizon and ATT. Not enough! There is still a 25-30 million customer gap between T-Mobile and the big two. In another year if T-Mobile keeps adding same rate of cust8they will be at the same amount of customers as Verizon & AT&T. Best part of T-Mobile is they continue to update their Towers continously. My DL & UL speeds have doubled in last month. New customers are not slowing their Network down at all. That is huge. They’re spending money where they should. Thank You T-Mobile, Thank You John Legere. So your saying the big 2 have 80 or so million? I thought they each have around 100m customers. This coming April I will have been with T-Mobile for 4 full years! Verizon has 143 million customers, AT&T has 133 million. still feeling the heat and i see ATT and Verizon stores opening up around T-Mobile stores.. Its just time.. in few years it will be closed.. if the momentum stays same..
Wow T-Mobile is already over 70 million customers? They were only about 30 million or so when Legere took over. That’s a hell of a lot of organic growth. It’s not really all organic. There have been a ton of promotions for free lines like the Black Friday 2-Lines Free, as well as wearable and tablet lines that go unused, like mine, my parents, who pay very little for something we barely use anyway. All that goes into those millions of added lines. T-Mobile also pushes 4-6 line family lines like no one else, I technically have a 6-line plan, when I really only have 5 active. That 6th line is free. This is how they are able to “add” more. If you were to count “paid” lines of service, you would see that the number is much less.